It's no secret that M&M's® are one of my very favorite candies. I've loved them ever since I was a little girl, when they were only available in Original and Peanut. Time has brought lots more varieties and one of my absolute favorites has made a comeback! That's right, M&M's® Crispy is back, and I'm so glad. I found them at Walmart, and immediately knew I wanted to put them in my recipe for Cowboy Cookies that I had promised to make for my grandchildren. I love being a Nana that bakes treats for my grandkids, and Cowboy Cookies are a real favorite in my family. 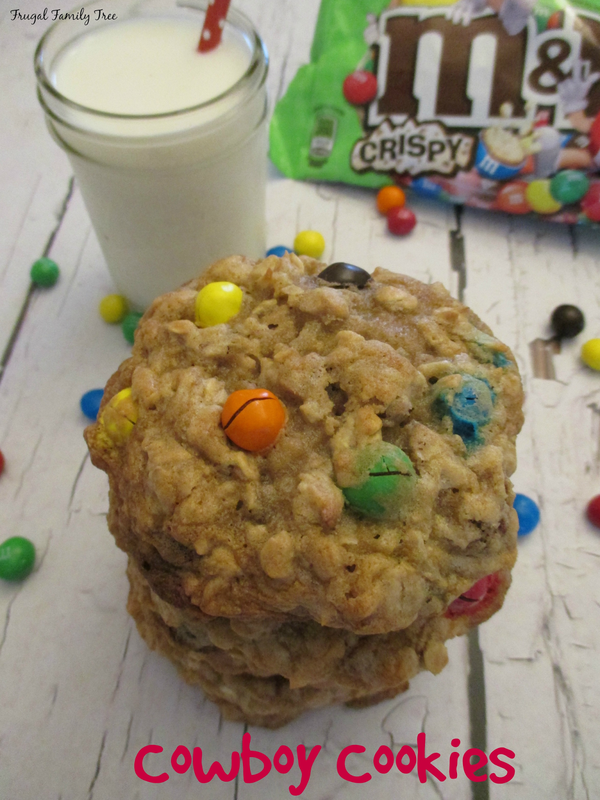 I remember when M&M's® Crispy first came out years ago, and how much I loved them. And now that they are back, I know that the individual snack size will be perfect to toss in my purse or lunch bag. At only 180 calories, they make a great tasting lower calorie snack for at home or on-the-go. They are also available in larger size bags in the bagged candy aisle. That's the size I bought to make my cookies. I often make baked goods like cookies and brownies with M&M's® because they always seem to be everyone's favorites. Cowboy Cookies are packed with oats, coconut, pecans, and usually, chocolate chips. 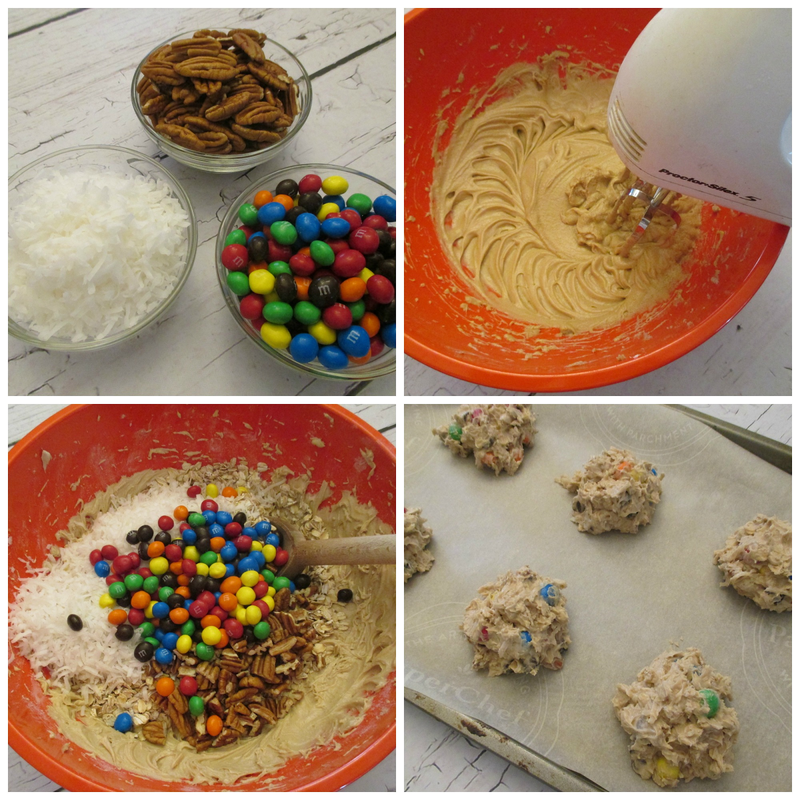 Adding the M&M's® Crispy pieces instead gives then added crunch, and I love the bright colors. 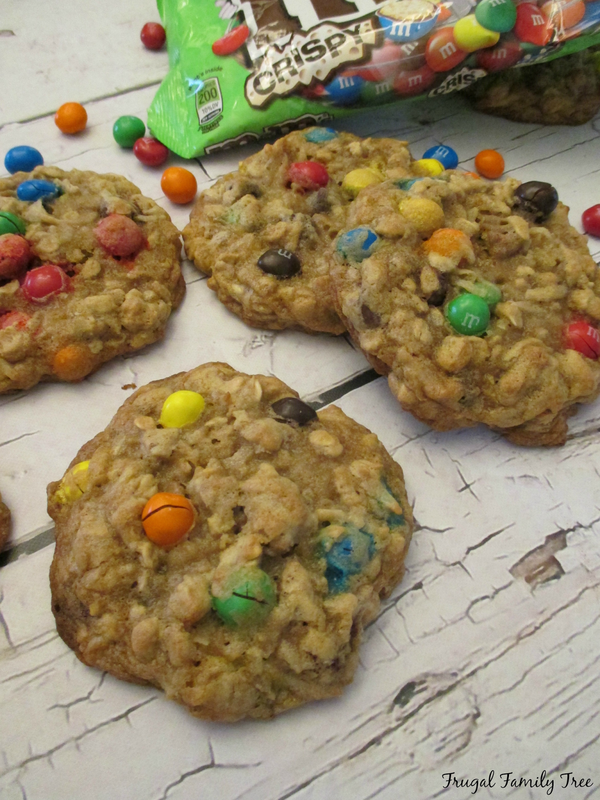 I guess I don't need to tell you that my grandchildren loved these cookies and now want me to always make them with M&M's® Crispy. They are totally right, and I'm officially changing my recipe to include them. These cookies really are delicious, and perfect for kids lunchboxes and afterschool snacks. I make them a little larger than the norm, and that way they stay softer. I also love oatmeal cookies, and the oatmeal flavor is really good in these. In a large bowl, cream butter and sugars until light and fluffy. Add eggs and vanilla; beat well. Combine the flour, baking soda and salt. Add to creamed mixture, beat well. Stir in the oats, M&M's®, coconut and pecans. Drop by rounded tablespoons onto baking sheets lined with parchment paper. Bake at 350° for about 12-14 minutes or until browned. Remove to wire racks to cool. Makes 2 dozen. 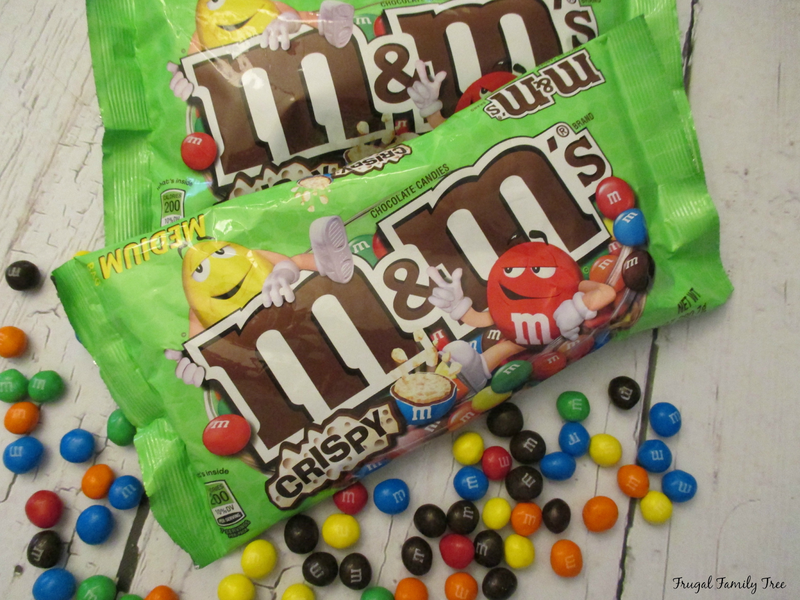 Whether M&M's® Crispy is an old favorite that you are happy to see back, or you haven't had a chance to try them yet, look for them at your local Walmart. I found the larger bags here in the candy aisle, and be sure to look for the individual snack size bags in the checkout aisles at the front of the store. 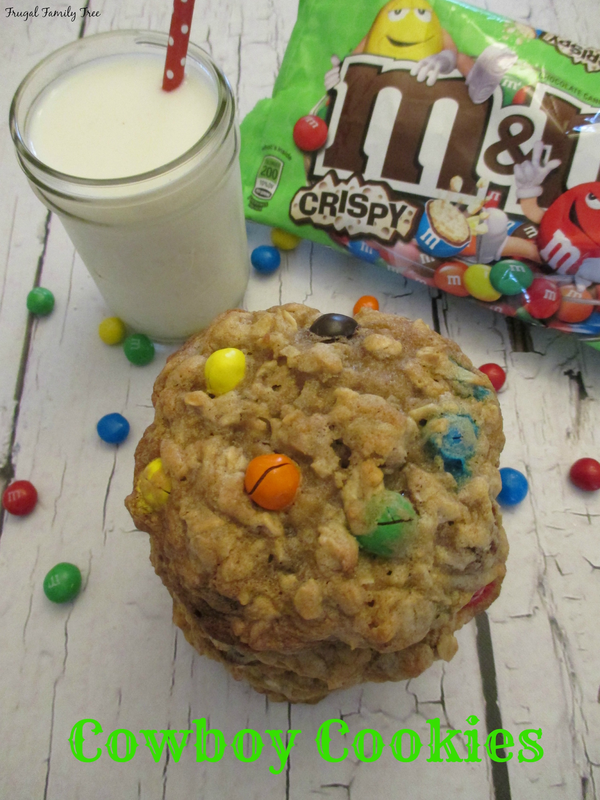 See more great M&M's® Crispy recipe and party ideas on the M&M's® Crispy social hub. Are you like me, and remember the great taste of M&M's® Crispy and are happy to see them back? And if you haven't tried them, go ahead because they might just become your new favorite variety!